The bike-share industry is exploding and for good reason. Bicycles are essential to solving a persistent, everyday problem, traffic. My – call it bold – prediction is that bike-share companies will eventually become bigger than car-based services such as Uber. This, however, depends highly on getting the regulatory framework for bike-share systems right. Bicycles will win because in the trafficless future of liveable, sustainable cities only a few will afford or want to drive a car every day. Infrastructure will favor the majority, cyclists, and self-driving cars will make streets safer for biking. Bicycles will win, and bike-shares will play a key role as they allow for better modal integration, especially for the rail and bike combination. The venture capital world has finally woken up to the potential of bike-sharing. So far Ofo and Mobike have each raised upwards of $500 million. The remaining 30+ bike-share startups, including the one I’m co-founder of, Donkey Republic, have also collectively raised perhaps another half a billion. The results? In China, 50 million people are regular users on its 10 million shared bikes. The bike-share business, which was not seen as a venture capital case until 2016, grew tenfold in less than a year. The adoption of large-scale bike-share systems is likely to spread to Europe, the US, Latin America, India and other regions of the world. Bike-share riders in Europe commonly pay between €0.50 to €1 per trip, up to €3-4 to get to work and back, and an average of €10-12 for a whole day on the bike. These fees will drop in a future where they are integrated into monthly commute cards. Ofo and Mobike are charging only 1 Chinese Yuan (~€0.14) per ride in China, and claim 6 trips are made per bike per day, bringing the revenue from rentals to around €0.50 per bike per day. If a bicycle costs around €250, lasts for 2 years, and needs low maintenance, rider revenues are not far from covering the costs. When these companies launch in Europe and the US the pricing will of course adjust to an expected rental fee of €0.50 per trip for up to 30 minutes. Compare that with paying 30 times the price to share a car, and you suddenly get why bike-shares are booming*. The data accumulated by bike-sharing systems represents another revenue stream. Traditionally, they have used their bikes as moving billboards. Now, leveraging the data available on rider behaviour, bike-shares will start using their technology platforms to serve advertising, adding to their profitability and attractiveness for investors. Disruptive bike-share companies may create some negative externalities that call for regulation. To give a short overview: cluttering sensitive public space (e.g. the entrance to a subway station) and thus inhibiting public life, bike oversaturation relative to the utilisation rate, damaged, unusable bikes that don’t get removed, unethical collection and sale of user data. As disruptive technologies appear, cities and national governments feel an increasing pressure to control them and policy makers are put on the spot to address these issues. When their reaction is delayed, it leaves grey areas of regulation, and authorities end up needing to take a more strict stance than they would if they acted proactively. Cities should not ignore the growing market and interest for independent bike-shares. For over a decade they have been paying for expensive and non-scalable systems, and now sit on a golden opportunity to promote what many have been dreaming: reduced traffic, improved urban mobility, societal health benefits, increased public safety and stronger local economy. 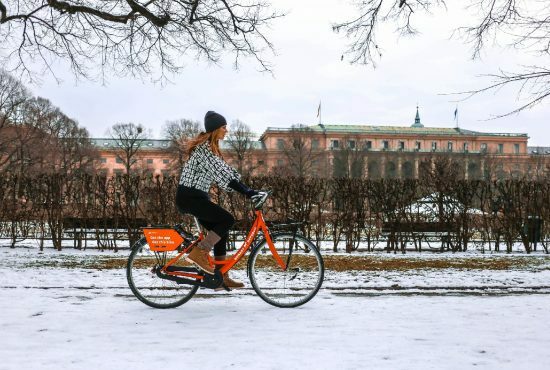 The advent of private, highly technological and scalable bike-sharing system is a promising step forward and it is time for cities to provide the regulatory framework to leverage the opportunity. Instead of tendering large public procurements, now the more important task is to provide the guidelines for market competition that will have a positive impact on the cities. So, how are municipalities supposed to ride this wave, and decide what is good and bad? And what specific regulations could be implemented to get there**? A few cities have taken steps to lead the way with this vision. Seattle, for example, has requested different shared bike schemes to apply for permits. Singapore has decided not to procure a system but invited the independent providers for a pilot. Beijing and Shanghai are working on bike-sharing permit schemes. From discussions emerging at this year’s Velocity conference (June, 2017) with the launch of the Platform for European Bike-Sharing & Systems (PEBBS) within the European Cycling Federation (ECF), the boundaries of relevant policy areas are becoming clearer. Seattle has published the first version of its regulatory requirements, and Dublin city declared what they are looking for. 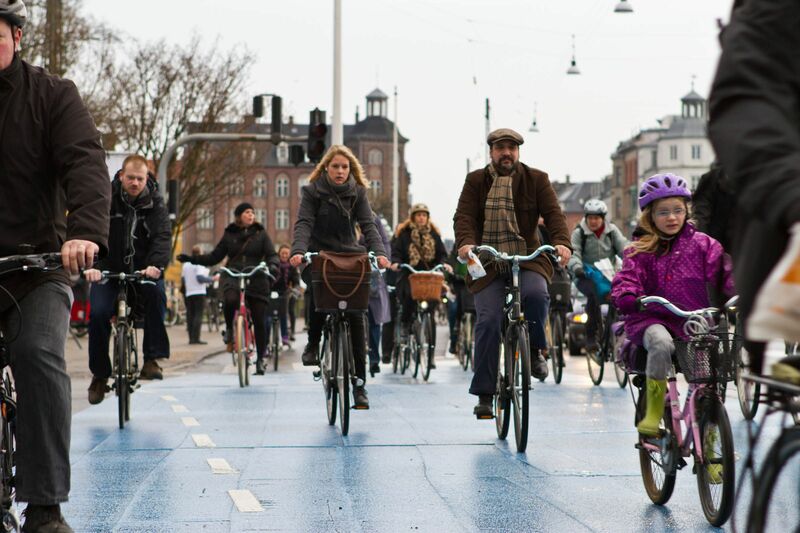 Besides ECF, BikePlus and Polis Network are helping cities to define their requirements. Protecting public space. Limit the number of bikes at first, so as to ensure a minimum viable network but only allow more bikes based on increase in usage. 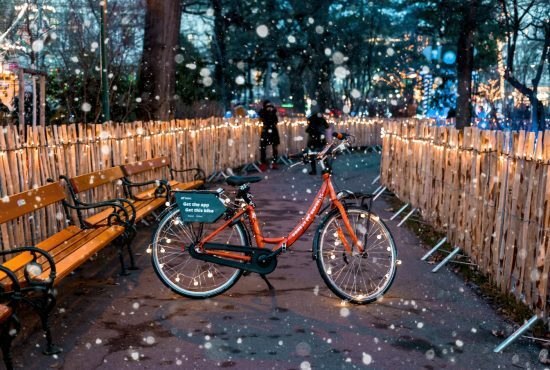 Ensure there are enough bike racks for both private and shared bikes, and that bike-share providers distribute their fleets only in permitted areas when not in use. Maintenance of bikes. Municipalities should not have to collect the bikes that don’t work, or provide the space for a dysfunctional bike for a month before anyone removes it. Protecting competition. Cities should prevent predatory pricing, where a player drops prices to an unsustainable level to drive out competition. It is simply not good for maintaining a healthy, competitive market in the long run. Setting the right goals. Cities benefit when people ride bikes, and a successful system is not one with thousands of bikes piling up on the streets, but the one that increases utilisation. Municipalities could promote cycling by subsidising rides on the bikes. Moreover, they could aim their subsidies towards certain target groups, be it current car-commuters, young people or any other group they deem more valuable to get on bikes. Privacy laws. Bike-shares need to respect European data privacy laws. There are still many ways in which valuable data can be collected, but such data should not be used or sold unlawfully. Colin Hughes from Social Bikes and a former ITDP researcher spoke recently at Velocity 2017 of a vision for the future where public authorities provide people with a mobility budget (as transport subsidies), and transport options are priced (either directly or through taxes on operators) to include externality cost and benefit. Currently, cars are heavily subsidised in most countries in the form of direct subsidies and reduced CO2 targets for manufacturers, as well as the huge public cost of car-centric infrastructure. This cost, as well as the environmental cost of car transport and the traffic load on cities would be incorporated into user prices in a mobility budget scheme. Bike transport would also have some public cost for regulation and infrastructure, albeit much lower. However the positive externality of the net health benefit of cycling could be also incorporated into pricing under a mobility budget scheme. Given we each get €100 per month to spend on transport, we would collectively make millions of decisions with our wallet every day that contribute to shaping the most positive urban mobility design for a city. It’s an interesting thought experiment which gives a clear picture of where public authorities should stand when designing the transport future of their cities. Including public costs, all externalities and average distances we travel, bicycles are the likely winners of how we get around our cities in the future. For more information on Donkey Republic’s analysis on cities’ regulatory needs, download this document. * Taking the example of DriveNow, where you pay €0.50, and not even considering that in urban areas the trip takes longer and includes parking. ** If cities want to make shared bikes something big, they should get inspiration from car shares. In car share space, there are several networks competing for best rider experience, and cities adopted regulations around parking, safety and pricing. As a result, we see a healthy market of car shares where DriveNow, Car2Go, ZipCar and the like are competing. Urban cycling endows you with a kind of freedom and autonomy that Erdem has been pursuing ever since he was sitting as a teen on his hour-long commute to school in his native Istanbul. 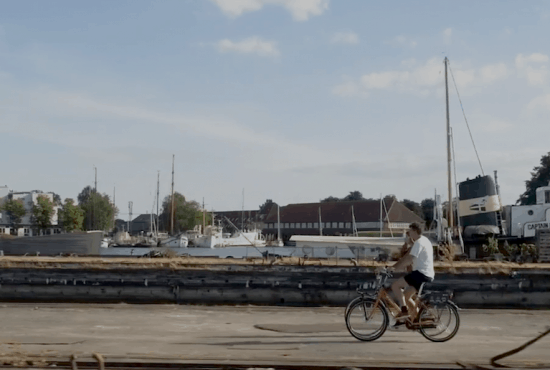 After riding through a bunch of different cities, he is now living and advocating his #lifebybike dream in Copenhagen, as the co-founder and CEO of Donkey Republic.